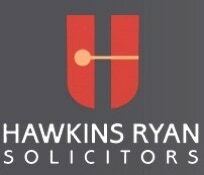 ﻿Big ﻿thanks ﻿to ﻿Hawkins ﻿Ryan ﻿Solicitors, ﻿King&apos;s ﻿Lynn&apos;s ﻿Stuart ﻿House ﻿Hotel, ﻿Norfolk ﻿Fender ﻿Seats, ﻿and ﻿Andy ﻿Williams ﻿Decorating ﻿for ﻿support ﻿by ﻿purchasing ﻿advertising ﻿space ﻿in ﻿festival ﻿programmes. ﻿Click ﻿their ﻿ad, ﻿right, ﻿for ﻿websites. ﻿These ﻿festivals ﻿don&apos;t ﻿organise ﻿themselves, ﻿you ﻿know. ﻿The hugely ﻿talented, ﻿attractive ﻿and ﻿witty ﻿committee ﻿members ﻿who ﻿beaver ﻿away ﻿all ﻿year ﻿to ﻿bring ﻿you ﻿these ﻿wonderful ﻿weekends ﻿are: ﻿Chairman ﻿Tony ﻿Ellis, Viv ﻿Scott, ﻿Rob ﻿Elwes, ﻿Andrew ﻿Williams, ﻿William ﻿Kerkham, ﻿Gillian ﻿Piggott ﻿and ﻿Rachel ﻿Hepworth. ﻿Please ﻿help ﻿keep ﻿the ﻿pages ﻿turning ﻿and ﻿consider ﻿joining ﻿our ﻿£5-a-month ﻿supporters’ ﻿club. 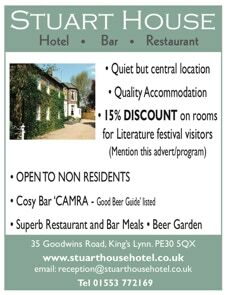 ﻿You&apos;ll ﻿be ﻿included ﻿in ﻿an ﻿occasional ﻿raffle ﻿(prizes ﻿of ﻿books ﻿and ﻿cash) ﻿and ﻿can ﻿obtain ﻿a ﻿festival ﻿weekend ﻿pass ﻿at ﻿half ﻿price ﻿(usually ﻿£37.50), ﻿for ﻿one ﻿festival ﻿a ﻿year. ﻿Funds ﻿generated ﻿are ﻿used ﻿exclusively ﻿to ﻿help ﻿finance ﻿our ﻿festivals. 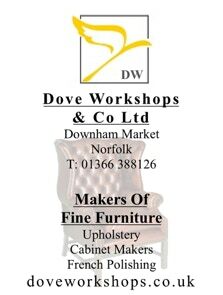 ﻿Please ﻿contact ﻿us ﻿for ﻿details ﻿- ﻿thank ﻿you. ﻿What ﻿if ﻿just ﻿knowing ﻿what ﻿a ﻿word ﻿meant ﻿could ﻿help ﻿feed ﻿hungry ﻿people ﻿around ﻿the ﻿world? ﻿Well, ﻿at ﻿FreeRice ﻿it ﻿does. ﻿Writers’ ﻿Centre ﻿Norwich ﻿is ﻿an ﻿important ﻿literature ﻿development ﻿agency ﻿specialising ﻿in ﻿talent ﻿development, ﻿international ﻿working ﻿and ﻿innovation ﻿in ﻿the ﻿worlds ﻿of ﻿writing ﻿and ﻿reading. 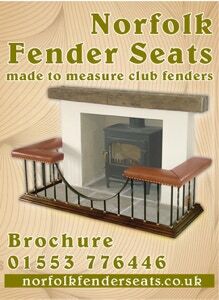 ﻿Lots ﻿of ﻿events ﻿and ﻿lots ﻿to ﻿ ﻿see ﻿on ﻿its ﻿website ﻿. You can enjoy listening here, free of charge , to the voices of contemporary poets and of poets from the past. ﻿Bookslut.com ﻿is ﻿a ﻿monthly ﻿web ﻿magazine ﻿and ﻿daily ﻿blog ﻿dedicated ﻿to ﻿those ﻿who ﻿love ﻿to ﻿read. ﻿It provides ﻿a ﻿constant ﻿supply ﻿of ﻿news, ﻿reviews, ﻿commentary, ﻿insight, ﻿and ﻿more ﻿than ﻿occasional ﻿opinions. ﻿This is poetry for the digital age. ﻿Forget about waiting months for even an acknowledgement. ﻿With Ink-Sweat-And-Tears, you could ﻿be published within ﻿the ﻿hour. ﻿Another ﻿Festival ﻿friend, ﻿Arc ﻿publishes ﻿contemporary ﻿poetry ﻿from ﻿new ﻿and ﻿established ﻿ ﻿writers ﻿from ﻿the ﻿UK ﻿and ﻿abroad. ﻿We ﻿introduce ﻿many ﻿of ﻿their ﻿writers ﻿to ﻿our ﻿poetry ﻿audience.